Remarketing is a remarkable way of connecting with visitors to your website who may have not completed a purchase, made an enquiry or booked an appointment. In fact, on average 97% of website visitors do not complete any action during their first visit. Opposed to losing these leads, remarketing enables you to place targeted ads in front of your defined audience that has previously visited your website. Your remarketing ads will be visible on any website that permits advertising from the Google Display Network. Remarketing becomes essential for businesses and practices that primarily exist online, or rely on having an online presence to boost conversions. The optimal platform to set up your remarketing is Google AdWords. Remarketing in Google AdWords is essentially made up of static images, animated images, short videos, responsive ads, as well as text ads that are placed on the Google Display Network. Remarketing works through the use of a unique tracking code to place cookies on the visitor’s browser, followed by targeting ads to those with that cookie on the Display and Search network. It would be ideal to add this practice as a component of a Pay Per Click (PPC) campaign. Cookies are small files which are stored on a user’s computer. They hold a moderate amount of data specific to a particular client and website, that can be accessed either by the web server or the client’s computer. This allows the server to carry information from one visit to the website (or related site) to the next. In order to launch a successful remarketing campaign, Baremetrics, an online metrics and forecasting tool, established a solid value proposition for their Saas (Software as a service) business. Opposed to using CPC (Cost Per Click), they used CPA (Cost Per Acquisition) and saw incredible ROI of $650 customer acquisition for every $6 spent. JustMedia marketing agency helped Lumension, a global leader in endpoint security software, realise the effectiveness of remarketing campaigns. After investing in their remarketing, they saw a colossal lead increase of 81%, despite their 30% PPC budget decrease. Their targeted influencer traffic increased by 10%. Similarly, eBags, the world’s largest retailer for luggage and accessories, turned to AdWords Remarketing to increase their sales and connect with their users. They made use of Remarketing lists for search ads and showcased their products including photos and prices on their Product Listing Ads resulting in a 20% click-through-rate increase. In addition, they took it a step further and used Gmail promotion to distribute newsworthy and valuable information. The results were exceptional. They saw a 10%-15% increase in revenue, and a whopping 25% increase in efficiency. With these results, they have now sold over 17 million bags since 1998. As one of Brazil’s leading online store for over 30 000 children’s products, Bebê Store sought to expand its reach and connect with more consumers at critical buying moments. One of their main goals was to direct captivating ads to consumers that were low in the conversion funnel. In order to achieve this, they sought to find a solution to reduce cart abandoners with the use of the Google Display Network to drive purchases. In essence, they used the approach of dynamic remarketing including audience segmentation based on average order prices. 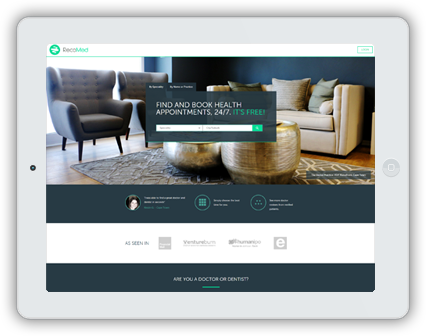 The first steps they took were implementing Conversion Optimiser to bolster their marketing campaigns and used Display Ad Builder to enhance their creative content. This method is ideal for businesses with the absence of creative designers to create display ads. It requires minimal effort and a few clicks of a button. Their results were astounding. Bebê Store witnessed 89% conversions after implementing the Conversion Optimiser. An additional 10% of conversions within a year was achieved through Dynamic Remarketing. Adding prices on their ads helped them achieve a 71% higher conversion rate and ROI. In conclusion, based on the exceptional results the above online businesses achieved, remarketing is the favourable way to have a bigger reach and increase conversion rates. To get started, conduct a correlation analysis to determine your awareness spend, which is essentially how much you are able to spend on remarketing. After this step, a remarketing strategy can be developed based on the business’ goals and different approaches to remarketing, such as instant nurturing (use display ads once consumers enter the conversion funnel/website), lead retargeting (targeting ads to consumers who didn’t complete actions on the website etc). Different strategies work for different kinds of businesses. It is important to analyse your business to identify your weaknesses to develop concise and effective remarketing strategies.